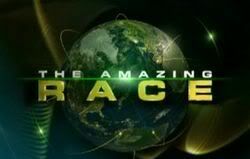 According to the AXN East Asia schedule, the Race will begin on AXN on 9/11/08 at 9PM!! 11 Episodes! There is also a listing for Racers Revealed on 9/4/08, at 9-10 PM, which I hope is for this season? Hopefully some of our AXN viewers will be able to fill us in on that! This will also be the thread to post any links y'all find to help us ALL be able to see the show! OK, I'll try to contact my friend who has the show on *ahem* satellite. Woohoo! something to keep me occupied for a few weeks before TAR13 starts! wish it was starting now, to really fill the gap... but how can i watch it here in the US? is AXN available on DISH - it doesn't seem to be on Comcast cable which I have. or it is going to be online after the initial broadcast? Unfortunately it is not available on any US networks, so we rely on the kindness of our AXN viewer friends to help us out. Just keep checking here, sunny! We are all hoping for the best! I have to watch the show via a delay on the *ahem* satellite, if you know what I mean. I will try my best to help. Hopefully not as troublesome recorder as last time! Racers Revealed will be airing on AXN on Sept 4! Can't wait to hear about it! I'd love to help share this great show to North America, like I did in years' past but can't seem to find a source for the shows this time. If anyone is aware of a source on an IRC channel or bit torrent, please let me know. Thanks!! ps. I've noticed some links to youtube, but for those of us who don't want to watch this great show on a PC, we need a different source. I have been looking for torrents for Racers Revealed and there aren't any which is very strange. There was a post yesterday that offered a viewing option for registered RFF members through PM. I've been registered for some time now (since the spoliers for TAR 13 started last Spring) but never posted because I don't really have anything to add to the spoilers. I do enjoy them though and think that the TAR detectives are just as Amazing as the Race. Anyway, I guess I didn't have enough posts to be permitted to PM, so I didn't ask for the viewing option. I've decided I can throw up a few posts so I can PM but now I can't find that other post and I don't remember for sure who I needed to PM. Any help on finding a way to watch the episode would be greatly appreciated. No, I am not an undercover agent for the "Download Police". 2old4tech--love your name cuz that is just how I feel too. You should be all okay now! I've got a lead from brintph that he'll start upping episodes on demonoid. Stay tuned! Nice! People were afraid he had disappeared! Brint and I had been communicating during TARA1 and TARA2, but we had lost contact. I'm glad to hear he's back. Any news on a stream to watch TARA3 Ep 1? I have the racers revealed episode but I don't have a stream to AXN and have been looking desperately for the past 2 days for episode 1. You should be all set, jayans! to the forum! Please come back and let us know what you thought of the show! Hi all, i have been looking on the internet for days trying to find the TARA episode (Racers revealed or S03E01). A little help would be handy. and I am sending you info in a second about the rest. Finally, a torrent has been posted. The file size seems small-ish, so I'm not sure of the quality (may be highly compressed = too much loss), but it's a great start. Is there like a source which is not publicly known? Where can I find links to watch/download TARA 3? In an effort to protect those who are so kindly helping us all to see the show, we are testing out a way to keep all the links somewhat protected as well. If you are a registered RFF user, and either need or have links to share, we are happy to pass that way onto you, just let me know. If you are a newbie here and cannot yet PM, feel free to use the contact listed in my profile instead. Is there like a source which is not publicly known? Where can I find links to download TARA 3?